Incredibly hot neighborhood & location at an unheard price point!Charming 2 story w/ a very appealing open floor plan.The huge kitchen is a dream w/ new quartz counter tops + herringbone back splash, SS sink & faucet!REAL hardwood floors are downstairs, the stairs & the landing. All SS appl. Fresh interior paint throughout the house make it sparkle. A stamped concrete patio & walkway are a nice addition to the fenced backyard. Most light fixtures updated. Roof w/ 30 yr warranty 2016. This is a charmer!! Fireplace(s): In Family Room (1 total). SchoolsClick map icons below to view information for schools near 3800 Birchwood Court Raleigh, NC 27612. Listing provided courtesy of Hodge & Kittrell Sotheby's International Realty. 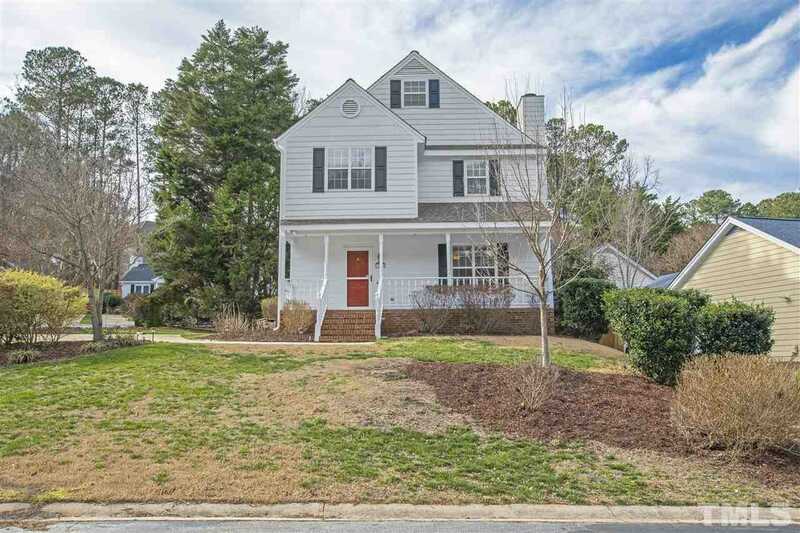 Home for sale at 3800 Birchwood Court Raleigh, NC 27612. Description: The home at 3800 Birchwood Court Raleigh, NC 27612 with the MLS Number 2236287 is currently listed at $284,000 and has been on the Raleigh market for 71 days. You are viewing the MLS property details of the home for sale at 3800 Birchwood Court Raleigh, NC 27612, which is located in the Laurel Brook subdivision, includes 3 bedrooms and 3 bathrooms, and has approximately 1621 sq.ft. of living area.